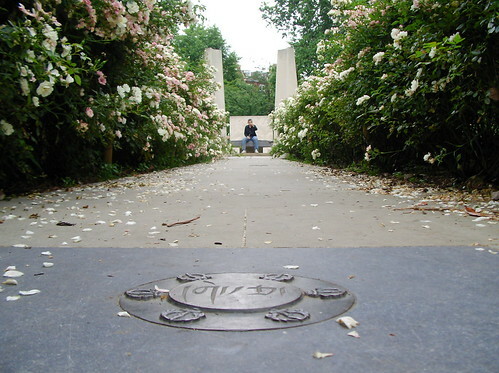 In 1999, during one of his frequent visits to London, the Dalai Lama and (bizarrely) Sting's wife Trudi Styler, opened the Tibetan Peace Garden in Lambeth. Fittingly housed in the grounds of the Imperial War Museum, in the 16 acre Geraldine Harmsworth Park on St George's Road, SE1, the land was donated for use by Southwark Council, and at it's centre is the traditional Tibetan-style Kalachakra Mandala associated with world peace. Around this are a range of modern sculptures, native himalayan flowers and shrubs, and eight benches representing the eight elements of the noble eightfold path, which is key to Buddhist philosophy: right view, thought, speech, action, livelihood, effort, mindfulness and concentration. The garden is open 8am-9.30pm in summer and 8am-4.30pm in Winter. For more information visit the page on the Tibet Foundation Website.